You still need to confirm your purchase, but…. Thanks so much for your order- I’m sure you’ll have a great time listening to ‘V-Factor’. Before you go, there’s something very special I’d like to share with you. I’ve been singing most of my life, but it’s only recently that I’ve been able to make music that is truly my own, and I am famously proud of my EPs. As you know, each song is a personal story. Those of you who know me will already know that I was horribly set up on a reality TV audition by Sony Music, which prompted me to start guitar lessons and write my own songs to show that I have some musical integrity. I wrote my first song after 3 lessons, and a year later, I had the EP ‘Factor This’, and that song was on the radio! I was so thrilled at how that EP turned out that I was actually nervous making the second one [V-Factor], as I feared it might not be as good. I was proved wrong, when the single ‘Gonna Be There’ got to #27 on online radio in the USA! The song ‘Pretence’ actually illustrates the story behind my reality TV experience. My third EP [This Game] continues the trend, with the same sincerity and vocal range, and musical sophistication- the single ‘Don’t Worry‘ is taking YouTube by storm! You can now get 12 more fantastic songs at a rate available to FANS ONLY. 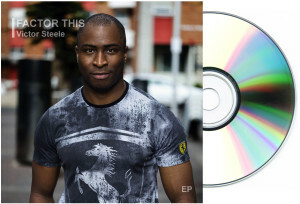 Fans often ask me which one is best, but the truth is that none are- however, you can see my progression as an artist by listening to them in succession, and I’d like to make you a one time offer of grabbing both of my other EPs with FREE SHIPPING, as a thank you for supporting me as an artist. Perhaps more importantly, by ordering this combination, you’ll be helping to support the recording and release of future albums and tours. Now I realise this is probably not for everyone. If your purchase was a gift, or perhaps just a casual purchase, than this special offer may not be for you. However if you are a fan of my music and would like to help support me as an artist while getting a great deal, then rest assured this is a great opportunity to acquire some very special content at a price that you WON’T see again. That’s $19.97 vs $25.99! BUT PLEASE REMEMBER: This discount I’m offering on the above set of CDs/MP3s is a ONE TIME OFFER, not currently available anywhere else, and once you close this page this special price will be gone for good. So if you’d like to get access to the musical journey from my debut EP ‘Factor This’ right through to ‘This Game’, click the order button you see below now! No thanks, I’d like to pass on this chance to order the CD/MP3 box set and proceed to the confirmation of the item I have already purchased. 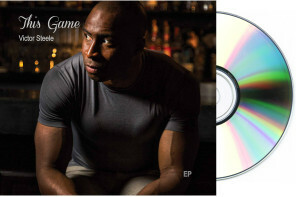 You will receive a physical CD/MP3 of Factor This and This Game via mail/email after placing your order.